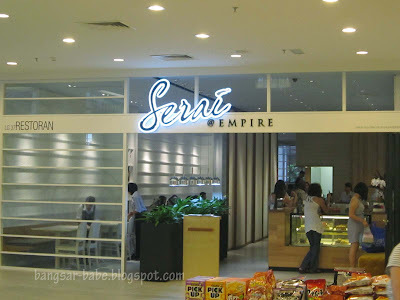 Serai Empire reminds me of a few lifestyle cafes I’ve seen around. But I find it more chic and definitely less cluttered. 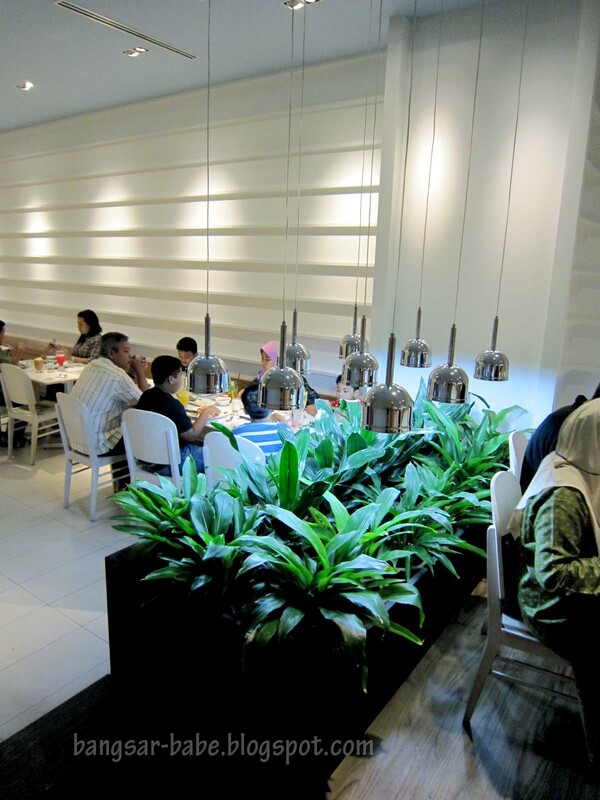 The interior is comfy, with white furnishing and a touch of greenery here and there. At noon on a weekend, the place was full of diners. 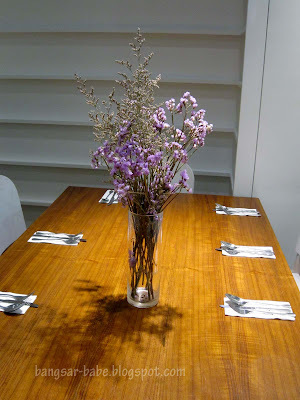 I wanted to sit at the main dining area, but all the tables were occupied or reserved. So I settled for a table at the back of restaurant – I presume that’s the smoking area? I glanced at the menu, which comprised Malay, Western and Fusion dishes. Beef Rendang Penne caught my eye, along with the Nasi Kerabu and Nasi Ambang. We started off the Deep Fried Salted Egg Squid (RM20 – small, RM30 – large). I’m used to the thickly coated, artery-clogging version of this dish at Chinese restaurants, so this wasn’t oomph enough for me. It wasn’t bad, but it just wasn’t cholesterol laden enough. My Nasi Kerabu (RM20) came with ayam percik, half a salted egg, ulam, solok lada and keropok ikan. 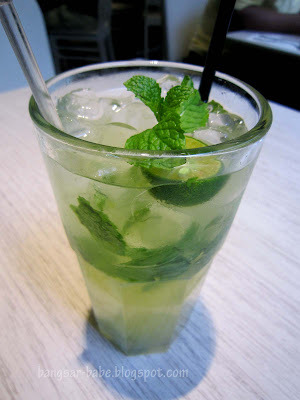 This came with a bowl of sambal gravy. The rice was fragrant and slightly sweetish; it went well with the gravy and condiments. 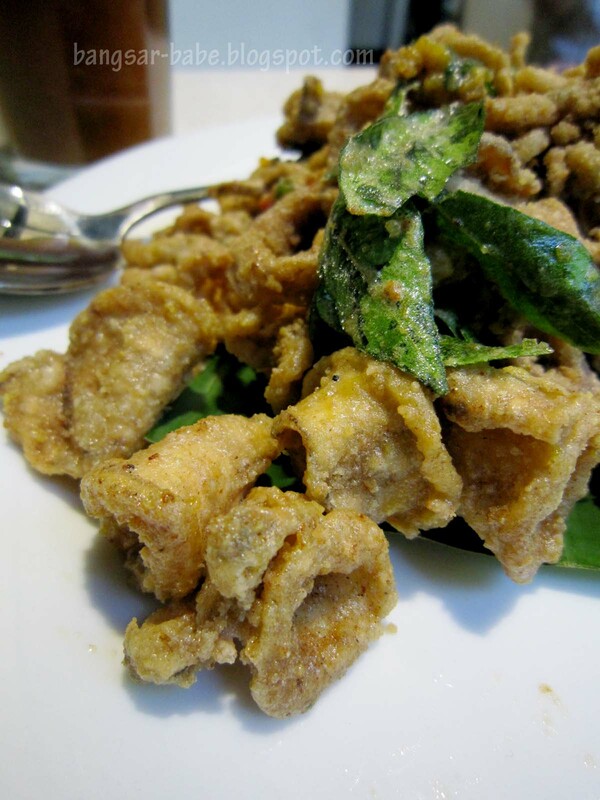 I liked the solok lada, which was green chilli stuffed with a mixture of grated coconut, fish and coconut milk. 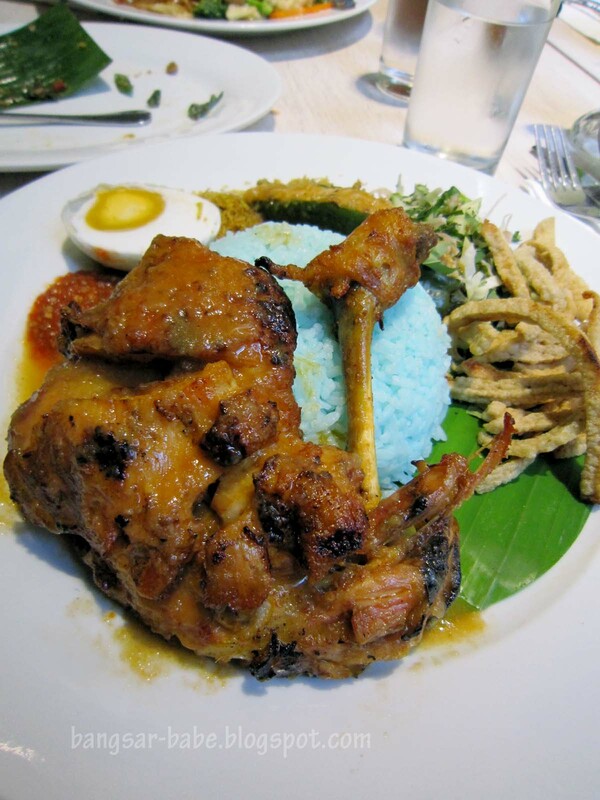 The chicken was decent – tender and well-flavoured, while the ulam gave the dish a pleasant, grassy taste. rif’s Nasi Ambang (RM20) reminded me of the nasi campur I had in Bali. There was white rice, prawn sambal, rendang tok, ikan kering, noodles, vegetables and tempe on his plate. 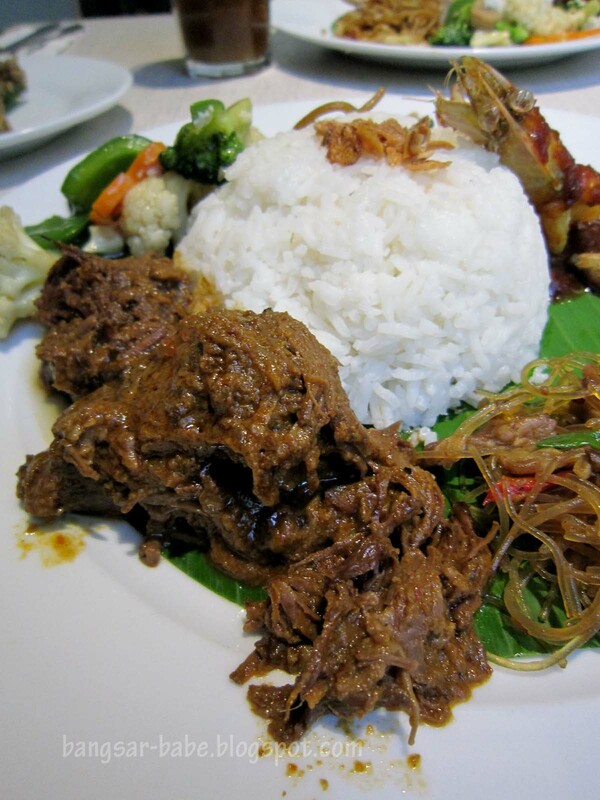 The rendang gravy was spicy and creamy, and the beef was nicely flaky. 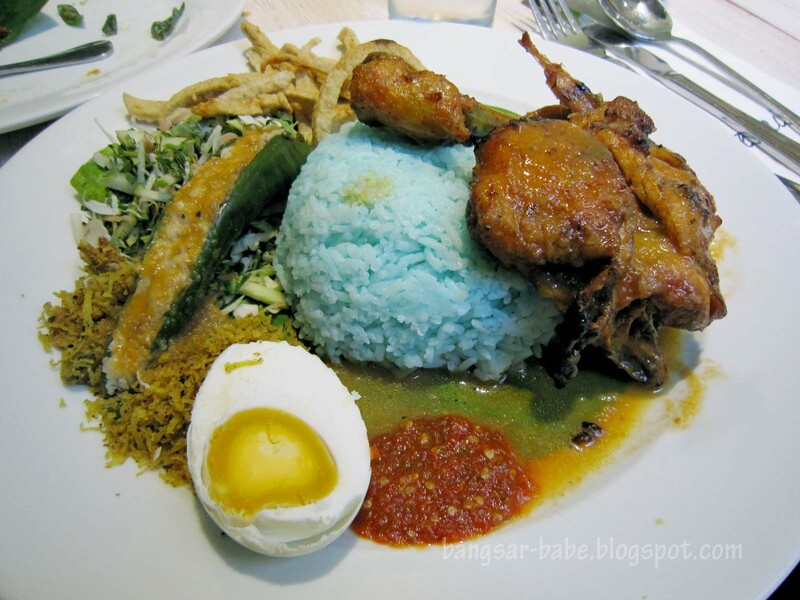 However, I liked the nasi kerabu better. It was richer and stronger in flavour. Rachel’s Middle-Eastern Medley (RM37) was my favourite dish of the lot. 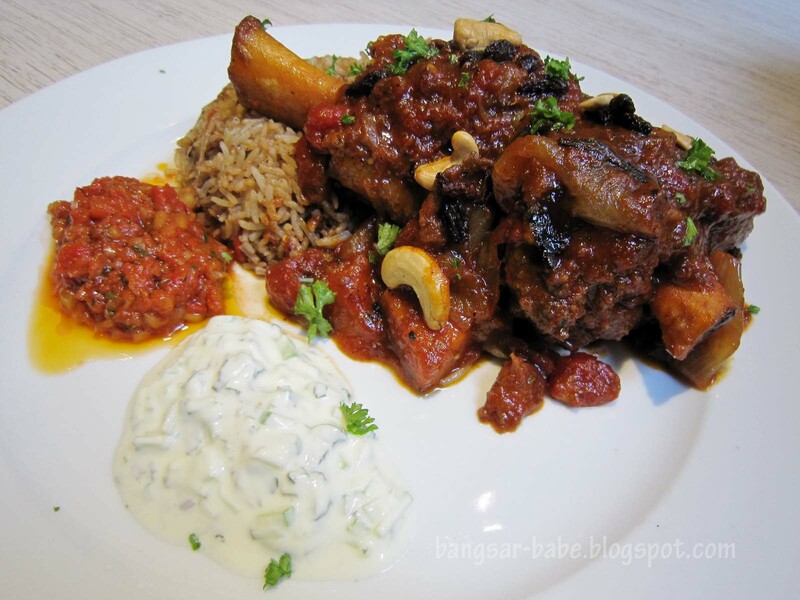 Moroccan lamb shank served with basmati rice, cucumber raita and Turkish relish…all which I liked! The lamb was falling of the bone, and thoroughly seasoned with spices. This was hearty and robust in flavours. I regretted not ordering this. 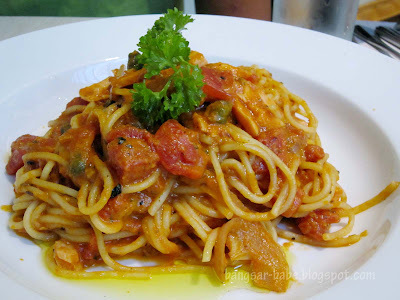 I didn’t try Joshua’s Spaghetti Marinara (RM25), but it looked promising. Not something I’d order though, as I already have my eye on their Beef Rendang Penne! 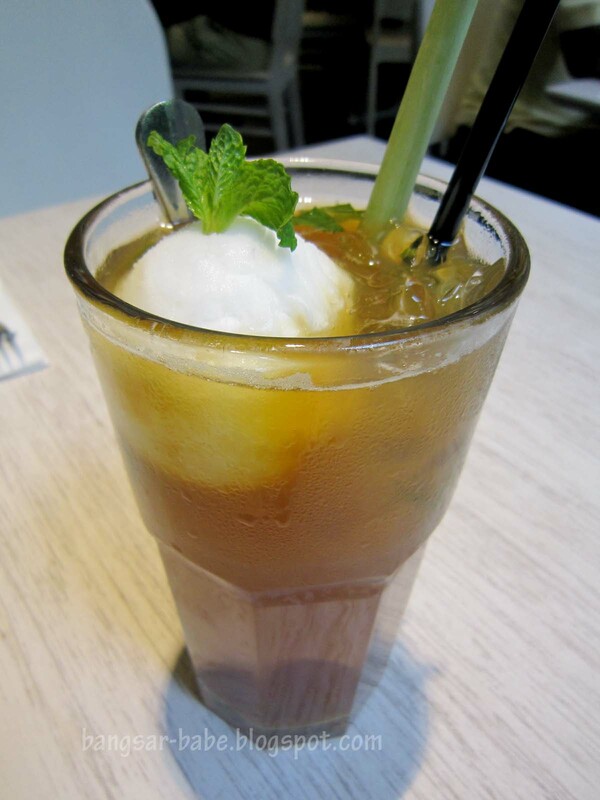 A lot of people ordered the Serai Iced Tea and Serai Blended, but I decided to try the Honeydew Blast (RM8.50). 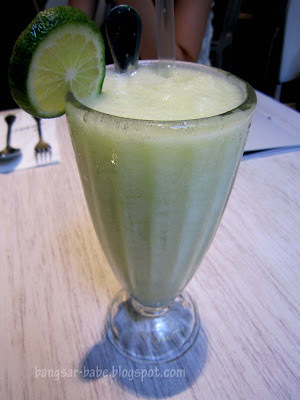 This was essentially honeydew ice blended with some lychee and fresh lime. Refreshing, and not overly sweet. rif’s Minted Calamasi Soda (RM8.50) was a tad too zesty for my liking. 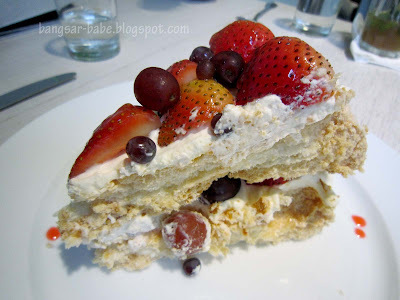 The Pavlova (RM14.80) had more meringue than fresh cream. 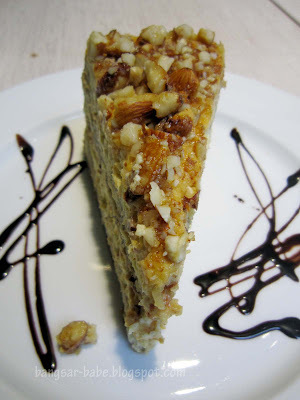 While rif preferred it to be the other way around, I found it pretty good. 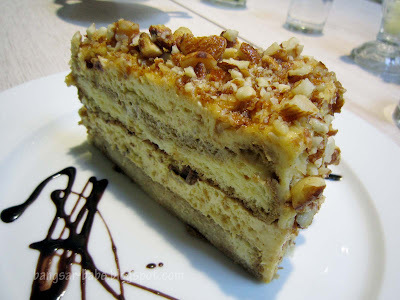 Tiramisu (RM14.80) was a little too dense in texture. This combination of caramelised nuts, coffee cream and cake might be a tad heavy for some. I liked the Chocolate Lava Cake (RM15) best. There’s something comforting about lava cakes in general, don’t you think? Warm chocolate centre and crisp edges with vanilla ice cream, I polished most of this. Overall, I thought the food was quite decent. 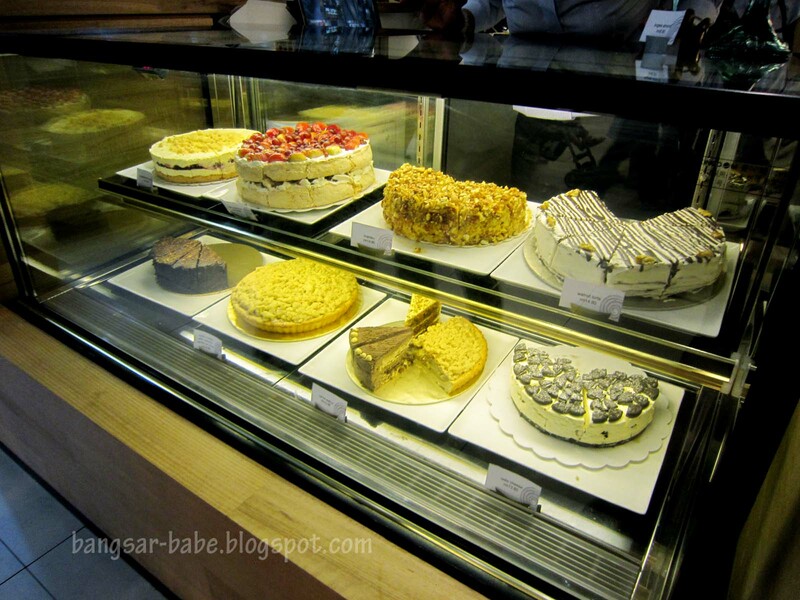 While there were some misses, I really liked the ambiance and service was quite attentive despite the crowd. If you happen to be at Empire Shopping Gallery, go try it for yourself! Verdict: I liked the Nasi Kerabu and Middle-Eastern Medley. Prices are mid-ranged, and portions are generous. the dessert looks good and so is the blue rice! 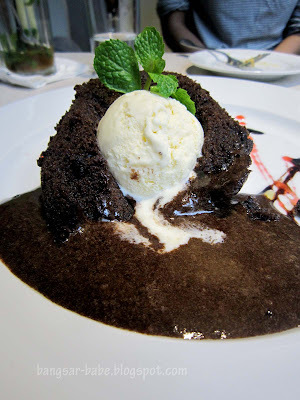 Chocolate lava cake is always my best bet for dessert! It seldom goes wrong and it's always SO satisfying! iamthewitch – So true! But I've had some really bad ones. Shows that the chef doesn't quite know how to make it. 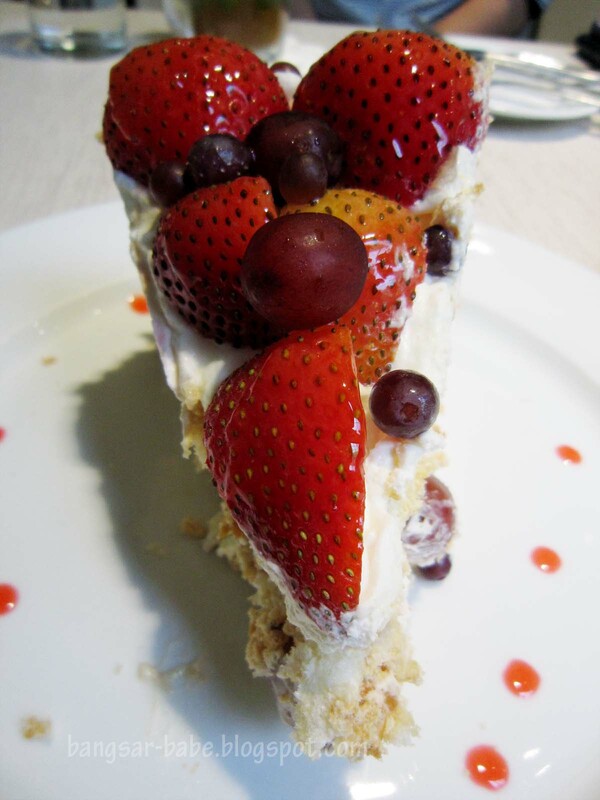 i must try! !looks good and yummy yummy.aghhhhh..